"A Schoolhouse View of the Estuary" is designed to be used by classroom teachers in grades K-12. Divided by grade levels with lessons, activities, maps, and more for teachers to share with students, this CD is easy to navigate. You can visit an elementary classroom, a middle school classroom, or a high school science lab to learn more about Louisiana wetlands. View Online. 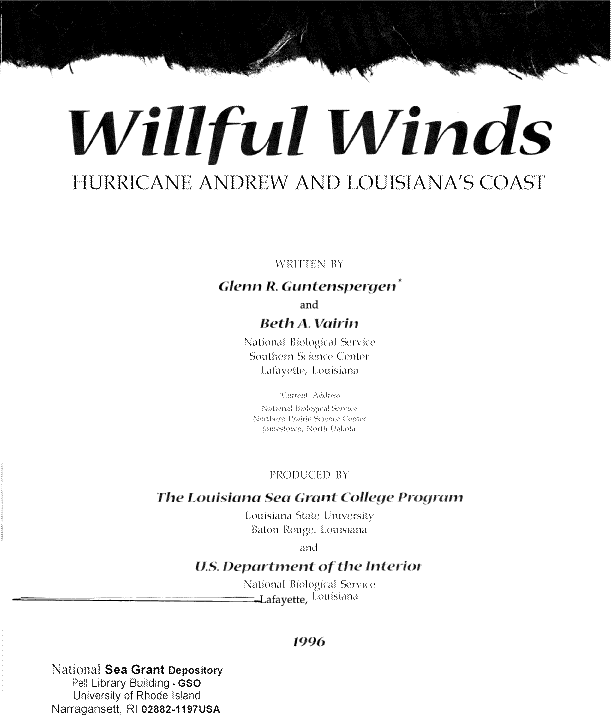 An interactive CD-Rom that addresses coastal wetland issues in Louisiana. A component of the CD-Rom focuses on Barataria-Terrebonne and showcases it’s ecological, economic, and cultural importance. A wetland quiz and bird and animal identification quizzes promote interaction and learning by interested people. Boudreaux’s camp has a map room, kid’s room, and many other surprises, which can be accessed by the “point and click method”. Developed jointly by BTNEP, CWPPRA, and the USGS National Wetlands Research Center. Lesson plans available on the root directory of the CD. View Online. This interactive educational and entertaining CD invites elementary school children to learn about our wetlands as they join Jeanne Thibodeaux and Tee Boudreaux on a treasure hunt journey. This CD will teach students basic skills and inspire coastal stewardship through a cartoon learning environment. Ideal for students K-4. View Online.